History does not tend to smile on manga adaptations of anime properties. From Cowboy Bebop to FLCL to Gundam , Japanese artists have a knack for clumsy comic renditions of their most popular cartoons. 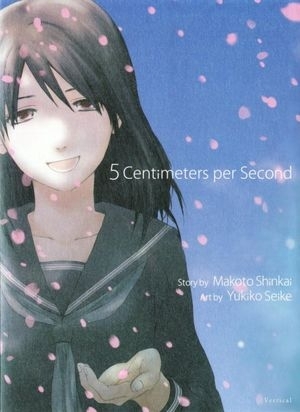 It is a wonder, then, that Yukiko Seike's manga version of 5 Centimeters Per Second is not an utterly terrible perversion of Makoto Shinkai's original 2007 film. Actually, it is nothing short of a miracle that 5 Centimeters Per Second is one of the best Japanese comics I have ever read. 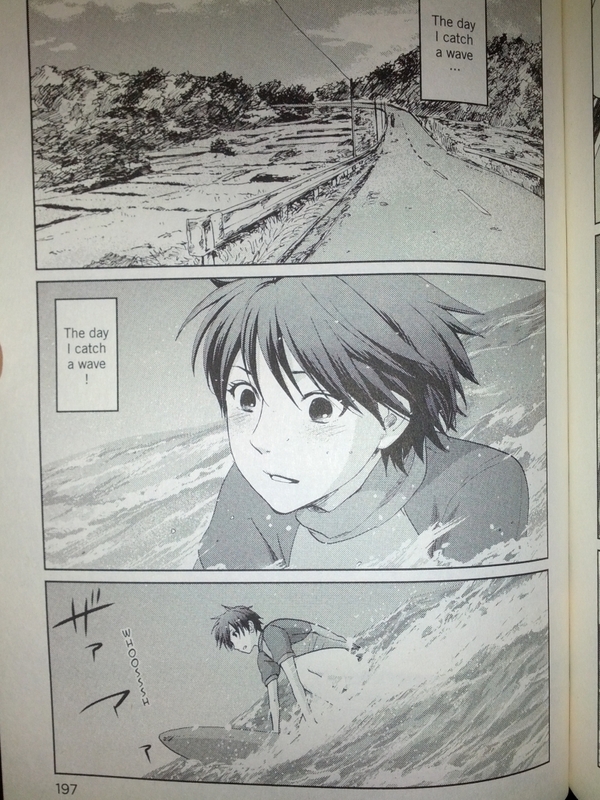 Created three years after Shinkai's film, Seike's manga probably felt like an afterthought for most Japanese fans. In the U.S.A., the book comes to us — courtesy of Vertical, Inc. — four years after 5 Centimeters Per Second was first made available on DVD in 2008. The original 5 Centimeters , one of my favorite anime films, is a beautiful critique of unrequited love, deftly disguised as a romance story. Seike's manga hews to the director's three-act structure: 1) Takaki Tohno and Akari Shinohara fall in love in middle school but end up moving far away from each other; 2) Tohno moves to far-off Kagoshima, where the ditzy Kanae tries to win his affection; and 3) Tohno grapples with an unfulfilling life as a salaryman, trapped by his unrequited affection for Akari. Where the manga differentiates itself from the film isn't in changing the actual events of the story but in fleshing out the moments between them. 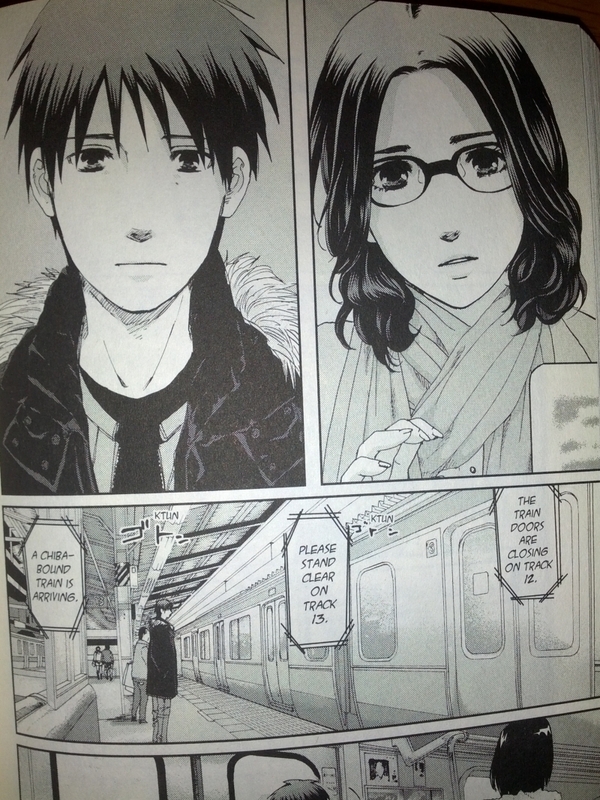 Even in the first chapter, Seike brings in small vignettes not included in the film to solidify the relationship between Tohno and Akari. Whereas Shinkai's story takes precedence over his characters, Seike treats the characters as real people and puts much more effort into realistically justifying their attraction to each other. Simply put, Seike's take on the story is more human — a stunning feat considering the strong emotional punch of Shinkai's original film. Seike's personal touch, which becomes more and more pronounced as the story goes on, culminates in the final chapter, when she fully reconstructs the character of Risa Mizuno (Tohno's new girlfriend in Tokyo) from Shinkai's sketchy, ambiguous depiction of her in the anime. There's even an epilogue detailing Kanae's life after she and Tohno graduate high school. While the main touchpoints from the film are all there, Seike's specificity and focus drive home Shinkai's message in a much more direct, poignant form. Even the iconic final scene is changed in extremely subtle ways to make the "lesson" of 5 Centimeters Per Second that much clearer. By virtue of being manga, Seike's version lacks the primary visual tool of Shinkai's arsenal: color. Still, she makes the utmost of black-and-white by sketching attractive, memorable character designs and drafting detailed backgrounds that provide the crucial sense of place that pervades the film. Granted, I think most of the backgrounds are traces of photographs, but the effect is still pretty beautiful. Both incarnations of 5 Centimeters Per Second enrich each other. The anime and manga versions of 5 Centimeters Per Second really are two wholly different executions of the same story. Where the film leverages a stunning color palette and exquisite dramatic timing, the manga focuses much more on its characters to create a world that draws you in with its relationships rather than its imagery. What's more, both incarnations enrich each other. 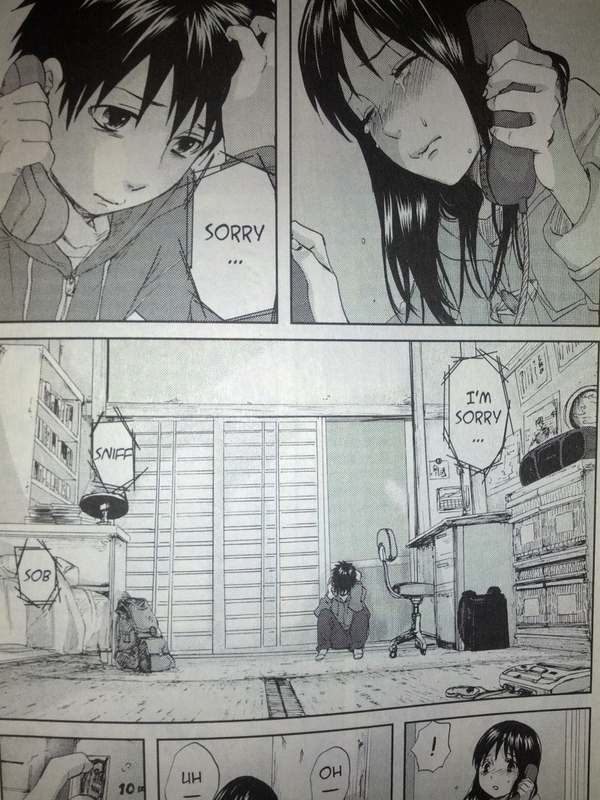 Watch the film and you will think back on Takaki and Risa's first meeting (featured only in the manga). Read the manga, and Masayoshi Yamazaki's haunting "One more time, One more chance" will ring in your head as you blaze through the final pages. Taken together, they are an epic of introspection, a breathtaking look at the destructive, cascading effects of unrequited love.